Free daily picks from Santa Anita, one of the USA's most popular race tracks, where the Breeders Cup has been hosted a couple of years ago! 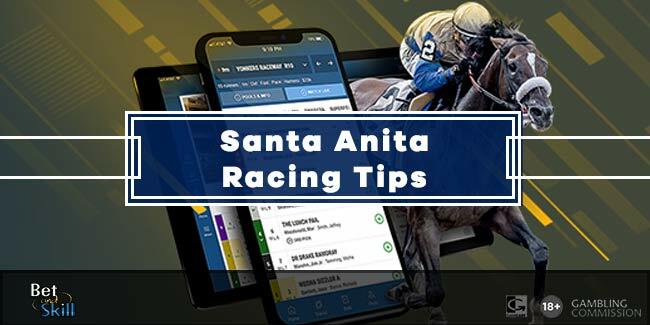 Bookmark this page and check back daily for free Santa Anita horse racing tips, predictions and free bets! Share our free Santa Anita betting tips! Looking for all today's races? Visit our horse racing betting tips section. You will find tons of predictions on US Racing, South Africa, France, UAE and UK racing. Plus, don't miss our Horse of the day tip! Visit our NAP of the Day section and start making profit with us! Santa Anita Park is one of the most famous horse racing tracks in the world, offering some of the best races in America during the fall and winter seasons. The racecourse is located in Arcadia (California) just outside of Los Angeles. In 1940 the Santa Anita Handicap was the last race run by Seabiscuit before he went into retirement. Seabiscuit won the race, making another legendary surge at the end of the race. On July 11, 2014 Santa Anita changed course and replaced their main track with 20,000-plus yards of dirt. The fall meet opened September 26 and hosted the Breeders' Cup for a 3rd consecutive year. The course has a one-mile (1,609 m) main dirt track surrounding a 0.9-mile (1,448 m) turf course. There is also a hillside turf course used for shorter turf races. The course could also be used for a 1¾-mile race if the horses continued past the finish line and ran the oval turf course again. 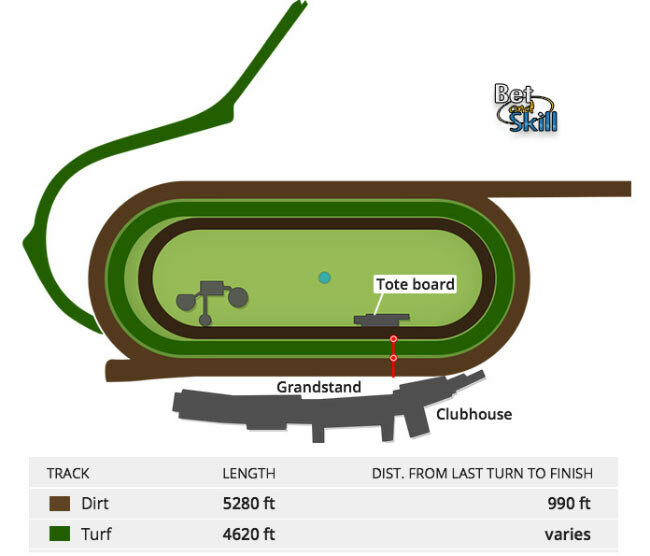 In addition to the main track, Santa Anita Park features a unique 6 1/2 fl. turf course that crosses the main track, a very rare feature in American horse tracks. The main racing season is in March with a host of Grade 1 races, including Santa Anita Derby, Santa Anita Handicap, Santa Margarita Stakes and the Santa Anita Oaks. The G1 Frank E. Kilroe Mile is another important race, as well as the Santa Margarita Invitational Handicap, Santa Maria Handicap, Santa Monica Handicap, Yellow Ribbon Stakes, Ancient Title Breeders’ Cup Handicap, Clement L. Hirsch Memorial Turf Championship Stakes, La Brea Stakes, Las Virgenes Stakes, Malibu Stakes and many more. "Today's Santa Anita Horse Racing Betting Tips, Picks & Odds"